Would you like to walk with greater ease and pleasure? Most of us walk with deeply grooved habits, repeating moments that lead to pain and stiffness. If we study these moments, we can create stability and integrity in our walk. With practice, we can clarify and ennoble an action we’ve done unconsciously our entire lives. Taught by Andrew Gibbons, GCFP. In this 2-day course, you’ll raise your walking from an unconscious habit to an informed practice. You’ll emerge with a clearer perspective on how walking works and the art of transferring weight elegantly from leg to leg. You’ll learn what, why, and how to practice with greater specificity. Then walking can become a path to health. It can be your zen, your gym, and your joy. Limit: 25 participants. Room for 3 more as of 3/21. The course focuses on three crucial moments in walking. These moments will set the parameters to test skeletal support, muscular efficiency, and balance. How walking is learned, and how learning is walked. Why your soft tissue cannot survive a disorganized skeleton. To see and sense shearing forces that poor walking creates, and learn how to move better by choice. Key relationships in the foot, ankle, and knee that every good walk maintains. “Do-anywhere” practices that help you tune your walking balance and maintain it throughout the day. How to use observational skills to improve by observing other people and yourself. Awareness Through Movement® practices that deepen your understanding and skill. 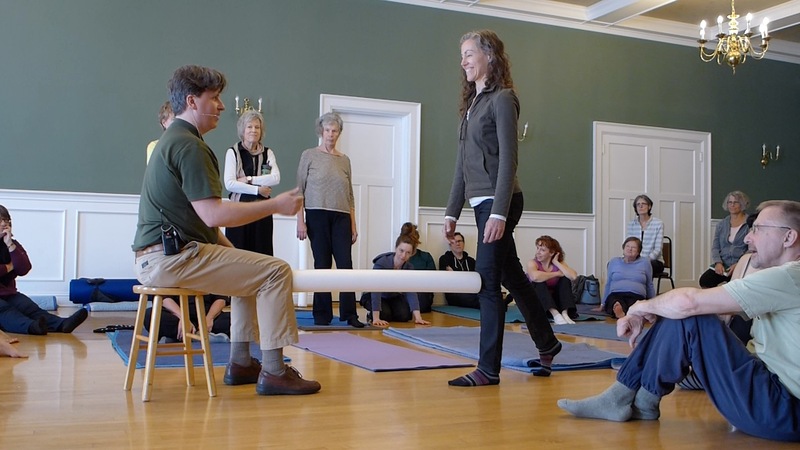 Instructor Andrew Gibbons is a Guild Certified Feldenkrais Teacher in New York City. He’s spent the last 8 years uncovering the moments in walking that tell us the most about our posture and self organization. In his private practice, he teaches the humans of New York how to organize themselves better for the second half of life than they did for the first. 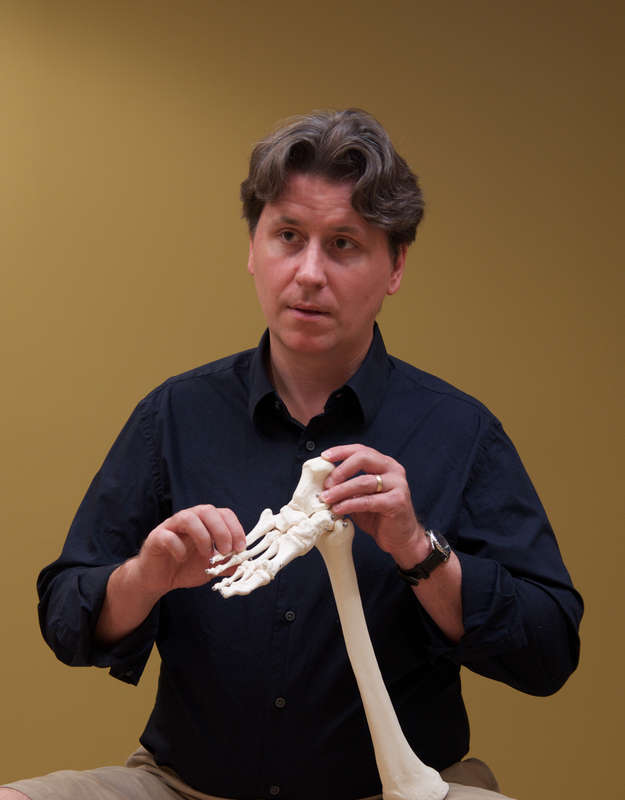 Andrew has been a Feldenkrais Teacher since 2003. He’s on the staff of Jeff Haller’s IOPS Academy, a graduate program for Feldenkrais teachers in NYC and Seattle. COST: Late $325 (by Apr. 5); At door $350 (if space permits). Students $200.